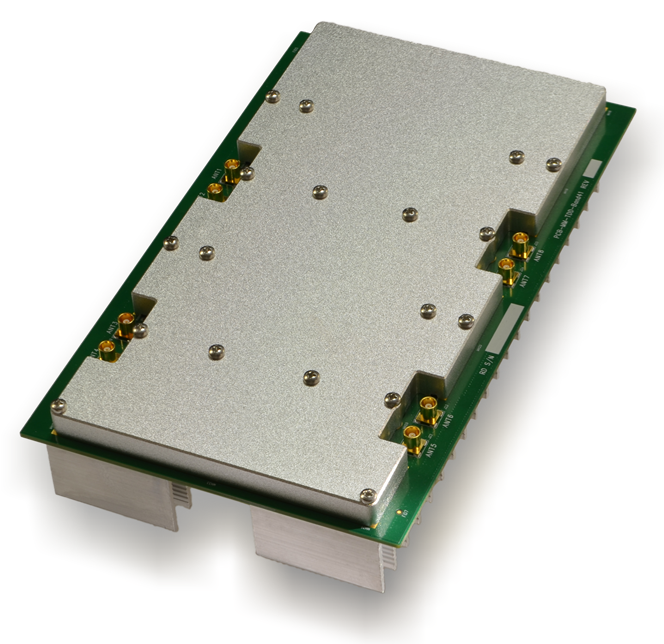 The RDB-B41TA is a high-performance multi-channel MIMO RF Frontend (FE) Module. 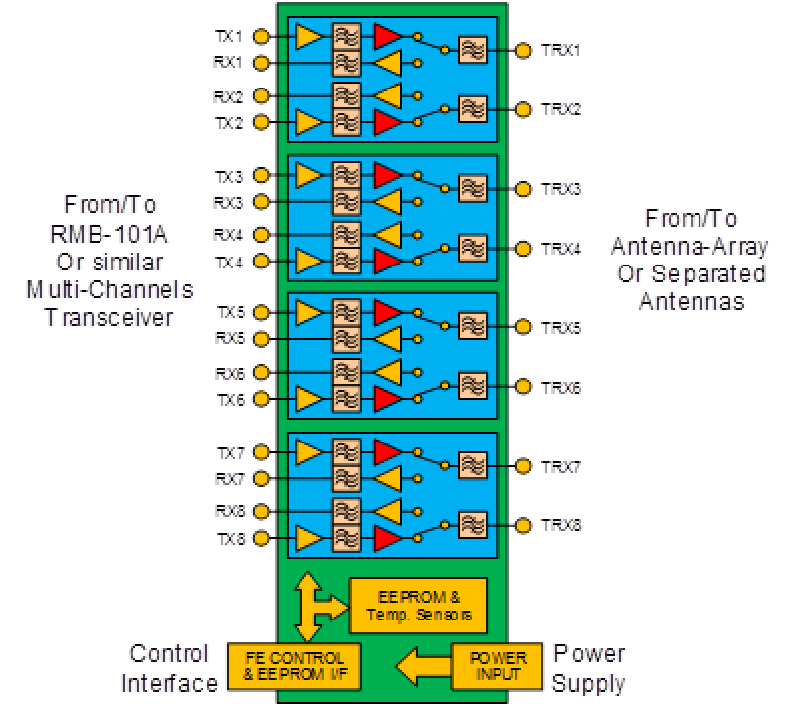 It includes 8 independent TX Power Amplifier (PA) channels, and 8 independent RX Low Noise Amplifier (LNA) channels. The working band is TDD band 41 (2496 – 2690 MHz). In the TX chain, the gain is ~30 dB, and the output power for CW is +29 dBm, for LTE is about ~+18 dBm with ACLR > 47 dB. Both input and output return loss are ~12 dB. In the RX chain, the gain is ~24 dB, max CW input level lower than -3 dBm, for LTE input signal, the max input level is lower than -15 dBm. The RX Noise Figure (NF) is about 4 dB and the both input and output return loss about 15 dB. 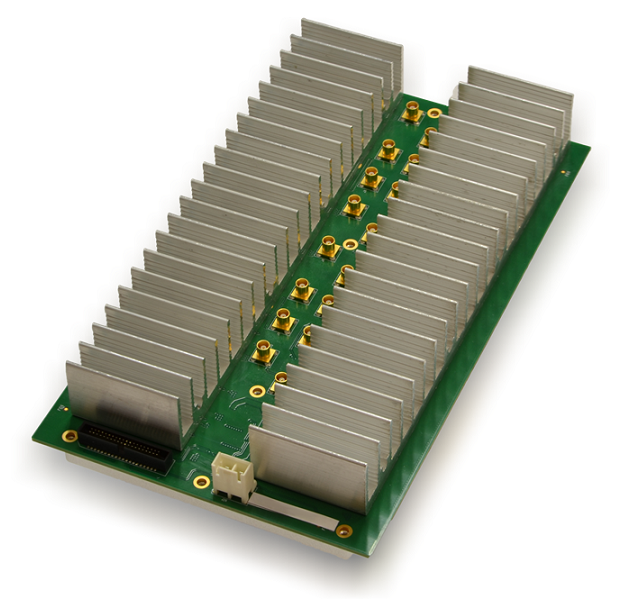 The RDB-B41TA module includes an on-board 1-Mbit (131072 x 8) EEPROM and 2 temperature sensors. The EEPROM is I2C-Compatible Serial Interface, and the two temperature sensors share the I2C interface, separated by their address. For better compatibility, the EEPROM power supply come from the control side.